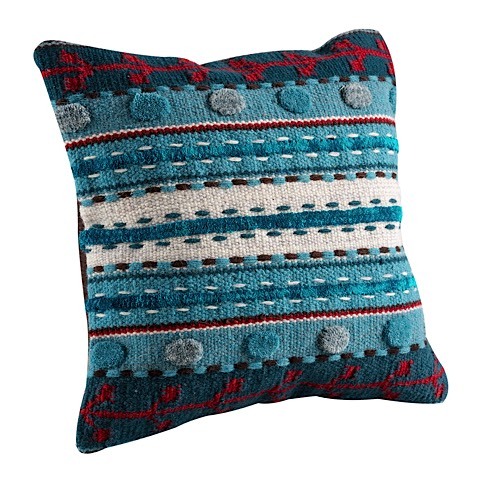 A decorative accent throw pillow that incorporates a bold hue with an even bolder design motif. The style of this cushion is re-connected to its floral origins with the subtle leafing across the top and bottom of the pillow. Hand-stitching on the cover add special texture filled flower silhouettes in bright colors. The playful feel of the Abramo is slightly mellowed by the on-trend ultra suede backing used for this throw pillow. This fantastic accent is available in two brilliant colorways.